Do you require fast, dependable locksmith assistance in the Fort Worth area? Our vibrant city contains literally millions of locks and access control systems. When you need a skilled, reputable local locksmith, make Pros On Call your first choice. We’ve got a professional team of 24-hour locksmiths in Fort Worth standing by to assist you with all of your vehicle, residential, and commerical lock and key services. Do you require fast, dependable locksmith assistance in the Fort Worth area? Our vibrant city contains literally millions of locks and access control systems. When you need a skilled, reputable local locksmith, make Pros On Call your first choice. We’ve got a professional team of 24-hour locksmiths in Fort Worth standing by. Our nationwide company relies upon capable technicians with five (or more) years of experience. We possess familiarity with locks manufactured by some of the world’s leading security experts: brands such as Yale, Baldwin Hardware, Master Lock, and more. Contact us to obtain fast, dependable assistance around-the-clock. We maintain 24/7 availability and our technicians answer service requests within 30-minutes, or less! 1. For best results, consider calling upon a licensed, bonded and insured locksmith company (like us) whenever possible. 2. If your key becomes jammed, don’t use force to extract it; instead, call a qualified locksmith. Remember, even strong metal keys sometimes bend or shatter inside a lock. You don’t want to damage a sensitive lock mechanism by placing too much stress on the key. 3. Try and find a locksmith who offers 24/7 availability. Unexpected lock-related emergencies (such as accidental home, business or vehicle lockouts) sometimes occur at inconvenient hours. 4. Wait in a secure location for a mobile locksmith to reach you. Even if you are waiting for a locksmith at the Dallas/Fort Worth International Airport, be sure to find a well-lit and populated area to wait for us. When it comes to our lock services in the Fort Worth area, you can enjoy fast and affordable installations and repairs for all types of locks such as mortise locks, deadbolts, keyless entry systems, profile cylinders, and so much more. Get in touch with us at any time to learn more or request our local lock solutions. As automotive locksmiths, we work on locks and ignition cylinders on all makes and models. For example, we help customers driving both domestic and foreign brands. Contact us whenever you need a capable automotive locksmith. We extract broken keys from ignitions correctly, solve door and trunk lockouts, repair broken key fobs, and produce laser cut key duplicate sets rapidly. We can also replace or program car fobs and transponder car keys quickly. Pros On Call performs assignments for many local businesses and institutions in the Fort Worth area. We Offer Residential Locksmith Assistance, Too! We provide a valuable resource for homeowners in the Fort Worth area. Whether you require help installing new deadbolt locks or mortise locks correctly, evaluating the security of your residential locks after a break-in, or rekeying tumbler locks, our skilled residential technicians can help. We offer dependable residential locksmith services across the Fort Worth area to install and repair all types of locks to protect your home. Contact Pros On Call now for emergency locksmith assistance, or to schedule an appointment. We offer a full spectrum of essential locksmith services 24/7 in Fort Worth and nearby areas. We appreciate your business! 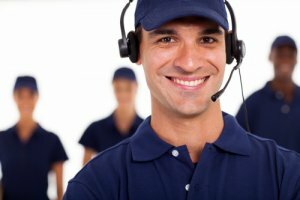 24-Hour Locksmiths In Fort Worth TX https://prosoncall.com/texas-locksmith/dallas-fort-worth/fort-worth/ 3.9/5 based upon 27 reviews.